The research group studies the effects of drugs (medicines) in the body (pharmacodynamics) and how the body handles drugs (pharmacokinetics). The projects comprise translational research in the broadest sense wherein approaches in silico, in vitro, ex vivo and in vivo are linked. The studies in silico includes advanced computer technology for identification of substances as potential drugs and uncover their molecular active sites within the cells. The in vitro research (biochemical pharmacology) has lately been focused on subcellular proteins such as enzymes like cyclic nucleotide phosphpdiesterase 5 (PDE5) and ABC-transporters (such as ABCB1 (P-gp), ABCC4 (MRP4) and ABCC5 (MRP5) and SLC-transporters such as SLC22A7 (OAT2). Studies ex vivo include how new drug-like compounds have effects on human normal and cancer cell lines, including growth modulation and gene expression. 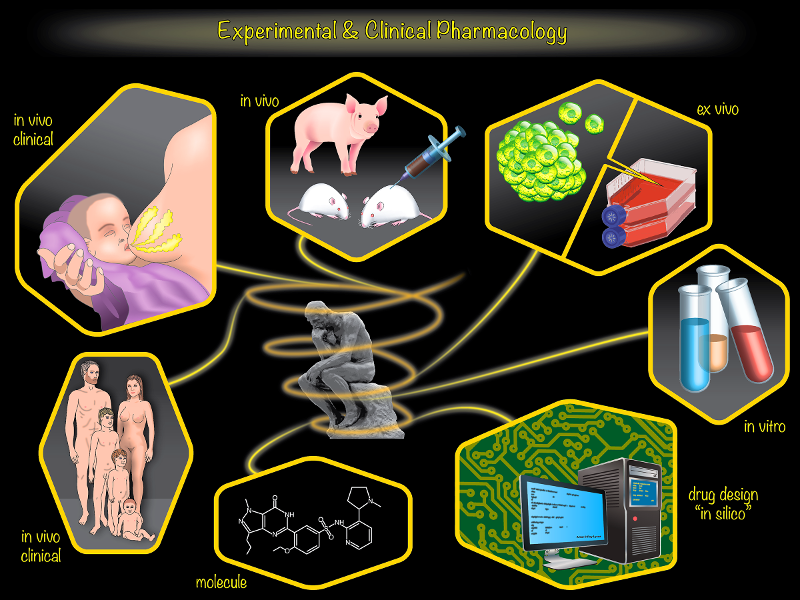 Finally, the research group conducts in vivo studies in healthy and diseased people. At present the focus is on lactating mothers and their children and drug side effects in elderly patients. Erik Sveberg Dietrichs, Associate professor, M.D., Ph.D.